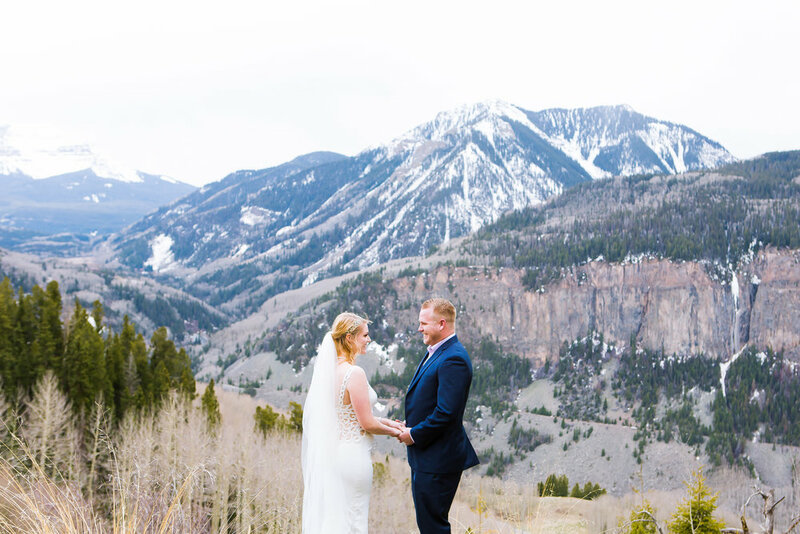 Jamie and Eric’s Telluride elopement story is far beyond unique. You see, these two were set to be married in large fanfare with all the guests and hubbub of an large wedding in Texas, last August. When Jamie and Eric thought more and more about their wedding and what marriage and this new unity really meant to them, they realized that they wanted to be able to include all of their friends and extended family and give that gift to their loved ones with the large wedding they had planned, but that they also wanted the intimacy and emotional connection to one another that an elopement offers. 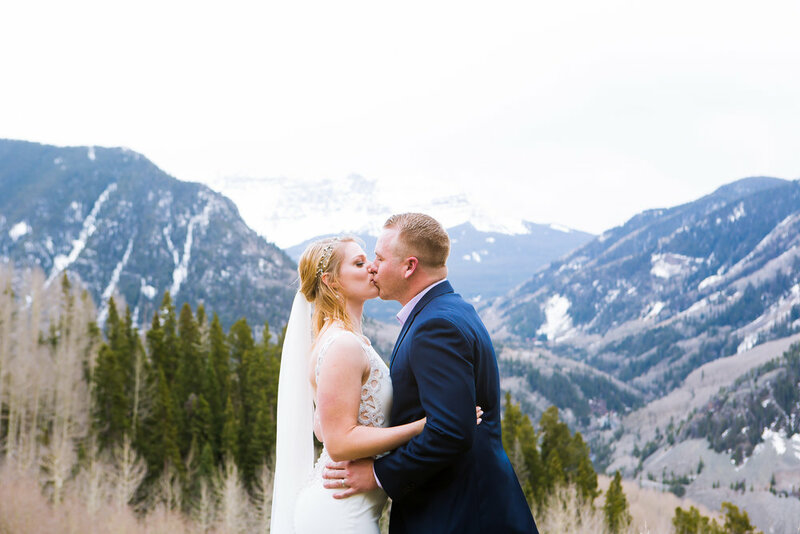 They realized that they couldn’t ask everyone to travel to the small mountain town of Telluride and since they wanted that intimacy, they decided to elope, in secret. 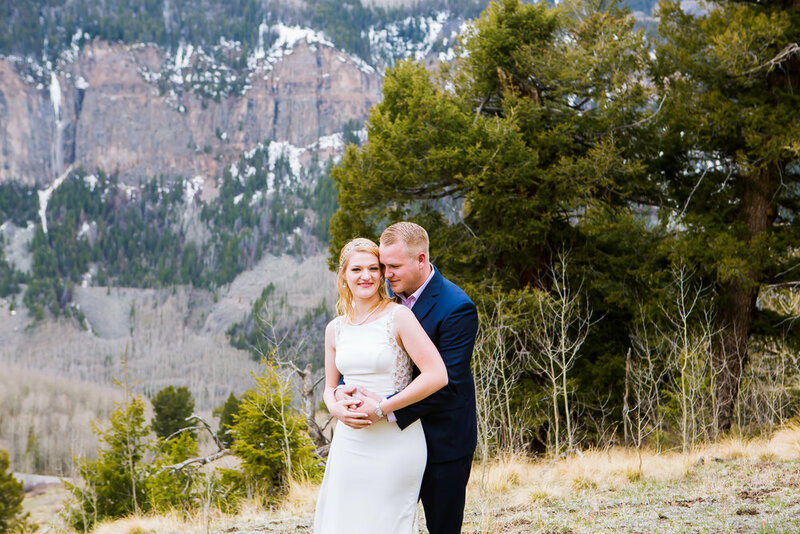 Jamie and Eric came out to Colorado and asked me to photograph just the two of them in all their wedding attire. 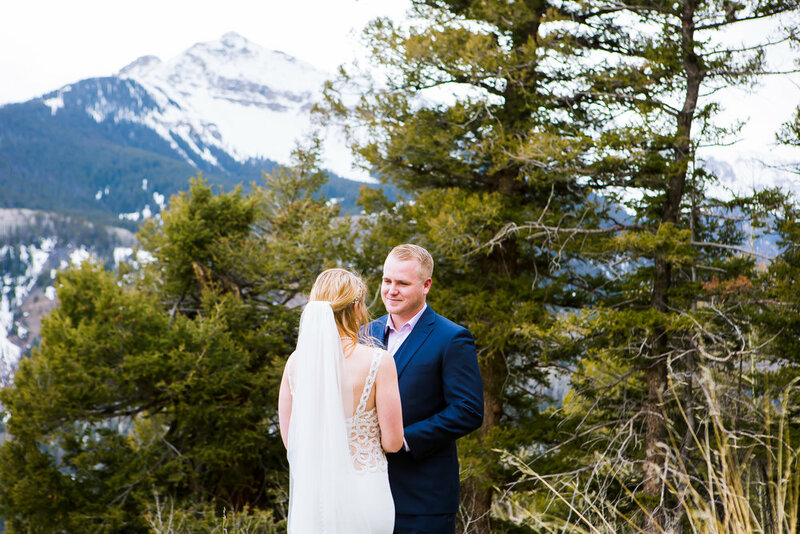 I found them a secluded spot atop a mountain pass to say their vows, with only the snowy mountain peaks as their guests. ‘But wait!”, you may be saying, “what about their wedding they already had planned in Texas?” That’s where this story becomes truly unique. Jamie and Eric still had that wedding. and from April to the end of August we all just kept our little elopement trip a secret. At their reception, a slideshow of our images was displayed on the projector and the whole crowd was in awe. Everyone was so excited a surprised to learn that this couple had managed to pull this off. I always tell my couples, ‘it’s your wedding, do what you want!!”. And these two most certainly did! Can’t find what you’re looking for? Search our site below! How much time do I need for my photos at my wedding?